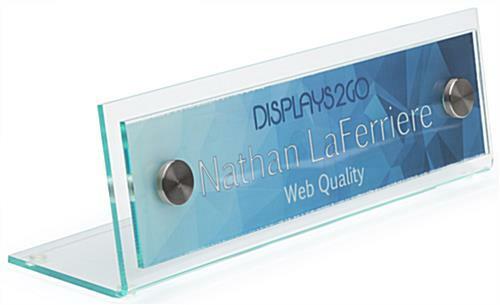 These elegant DIY desk name plates are designed to provide 8" x 2" custom office signs or idenitification labeling in office, commercial, and professional environments. 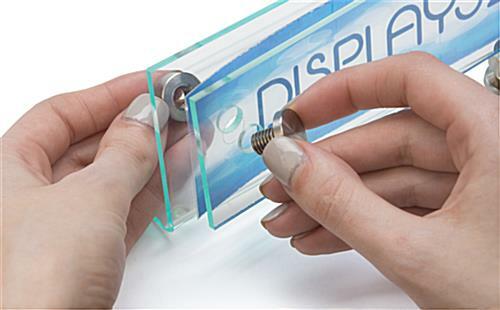 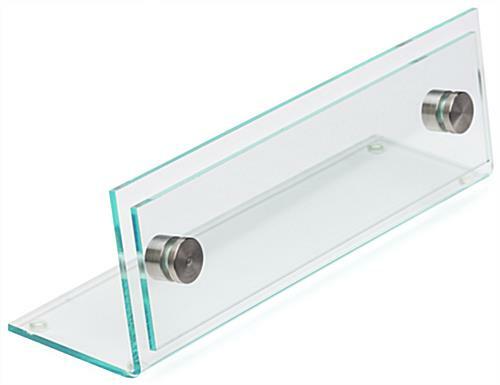 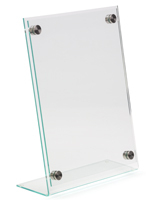 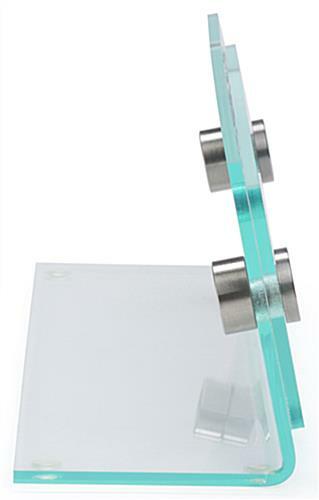 Each slanted desktop signage holder is made from lightweight acrylic plastic, with a sandwich-style design. 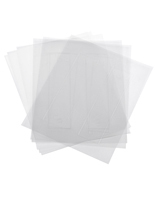 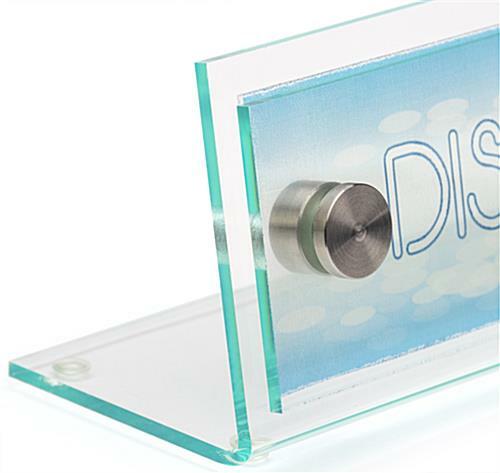 The easy to use DIY desk name plates come with two silver standoffs as well as 3 sheets each of both frosted and clear printable films. 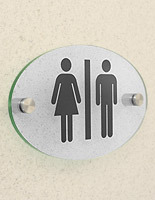 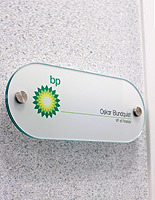 The wedge-shaped plastic display is perfect for creating office signs for individuals, departments, hours and more. 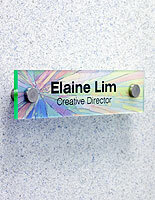 Print-your-own desk name plates with silver sandoffs make it easy to keep signage and labeling current at all times. 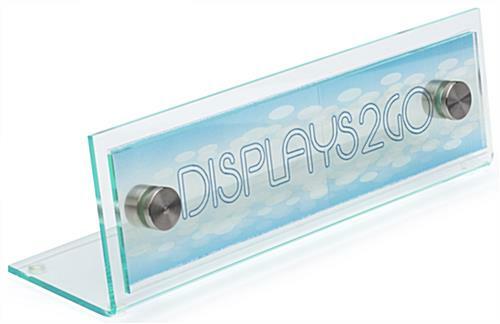 These lightweight sign frames come as a complete kit with printable paper film as well as easy-to-use formatting templates (downloadable below) for a professional look every time. 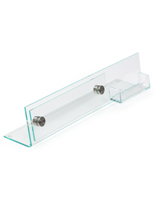 8.3" x 78.0" x 2.5"